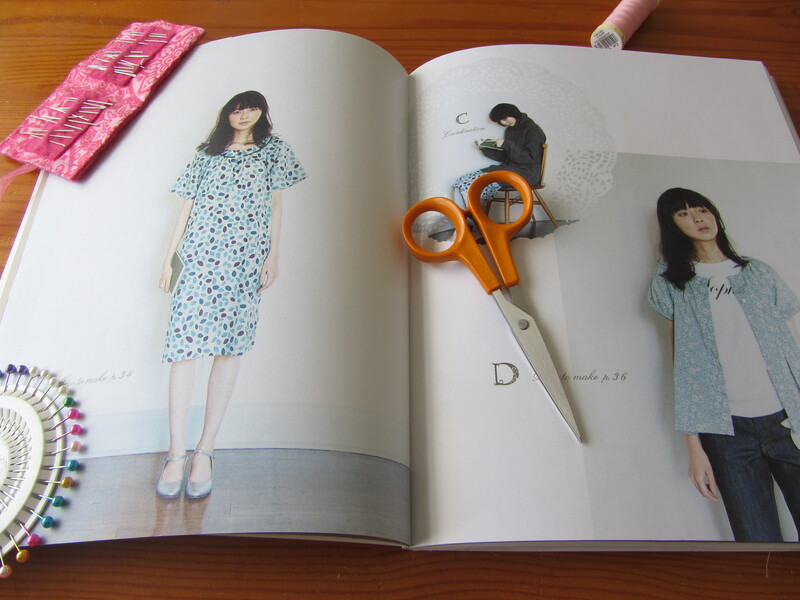 After making three dresses from this book I am ready to give a review of Stylish Dress Book: Wear with Freedom . Meet me after the jump to see what I have to say about it. First the book itself is delightful. I features 26 designs of dresses and tunics, most of them using Liberty of London fabric. Yummy fabrics coupled with chic designs and beautiful pictures make it worth buying the book. The designs are for comfortable yet elegant dresses and tops (as stated by the editor) which in my mind could easily be used as the base for a timeless wardrobe. The book aims to inspire women of all ages and sizes to have fun with fabric and style. It is true there are patterns for size 6 to 16 but I feel this careless drape spirit would be best suited for thiner woman (which I am not at the moment). Speaking of size I found the measurements provided at the beginning of the book are a bit too generous and I found myself a bit hidden in a size 12 dress whereas I would usually wear a good 14. Sewing wise it is a good guide. There are 26 full size patterns on 3 detached sheets so there is no need to fiddle with bringing them to size and copying the book. But an important downside is the seam allowance is not included in the patterns. It has to be added before cutting the fabric so I wouldn’t recommend this book for a beginner. 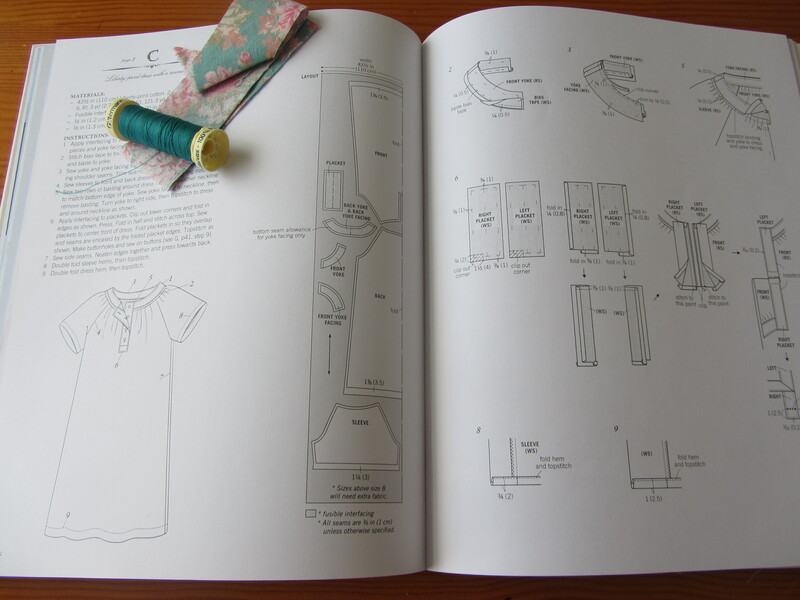 Besides the step by step explanations are clear but the author made the assumption the reader had some basic knowledge of basic dress making techniques. An interesting review. It is funny as crochet books always seem to assume you are a beginner. Wonder why thete is a difference. Yes I know, most craft books would assume you’re a beginner or at least cater for both beginners or experimented crafters, this one is a bit unusual. It can be a bit annoying though when a book has lots of pages full of things that you already know.